LG is heavily rumored to be announcing two new Android Wear devices very soon; the Watch Sport and Watch Style. These will be the first devices to run Android Wear 2.0, and new leaked details have confirmed a few of the features onboard. The leak has confirmed one of the new watches will come with Android Pay, while Google Assistant will be built into both of the wearables. A reader of Android Authority has found the user manuals for both the Watch Sport and Watch Style, which confirm the features as well as showing how Android Wear 2.0 works. It has confirmed you can use the LG Watch Sport for mobile payments. To use Android Pay on the wearable, you’ll need to launch the Apps screen, tap Android Pay and then tap your wearable on the reader. If this is true, it means it will take a few more steps to work compared to Android Pay on your phone where you only need to unlock your screen and tap the phone on a payment terminal. It also confirms that to launch Google Assistant, you’ll just need to say “OK Google” directed at your watch. That will work on both the LG Watch Sport and Style. Assistant will then offer a variety of features. It will allow you to send a text, set an alarm or even access Google Fit features, meaning you can ask to see your heart rate without even touching the wearable. There's always a chance these user manuals could be elaborate fakes, but both documents look like the booklets we've seen with other LG products so it looks like each could be the real thing. Rumors suggest LG is ready to launch the watches as soon as tomorrow - February 8 - and if that's true, we’ll see the full picture of how each of the devices will work. 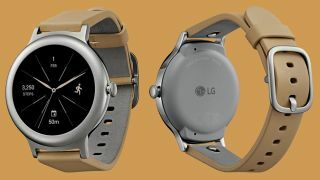 Leaked details for the LG Watch Sport suggest a price of $349, while the Watch Style will be a touch cheaper at $249.